**Summary: Carst & Walker hosted a Women’s Day Charity Event on 18 August 2017 in Cape Town. We hosted 60 of our customers and colleagues to enjoy a day of inspiring speakers, tasty lunch and great company. Our theme was stories of hope! We used poppies in our invitation and décor which signify Remembrance Day after WW1. They represent growth and hope where it was once broken. Our speakers did a great job conveying their messages of hope and how they got through the tough times. This was a great encouragement for all that attended. 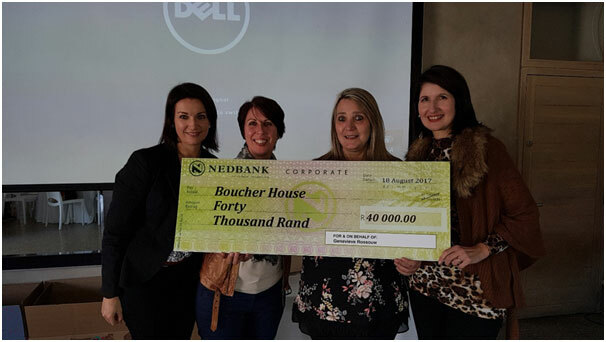 We handed over a cheque to the value of R40, 000 to Elizma Boucher, the house mother of Boucher House. Jenny Rossouw raised these funds during her 807km Camino walk which took place in May 2018.